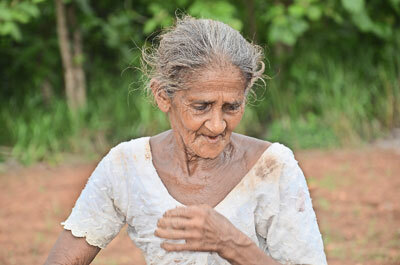 Last week, Bandaragama police were confronted with the problem of finding accommodation and care for an abandoned 80-year-old mother found by the roadside. She said she had distributed her wealth and property among her seven children and now they did not want to take care of her. The children were summoned to the police station but refused to take her back home. Many elderly parents are today being abandoned by children who either claim they are a burden or who live overseas and are not available to give them care. 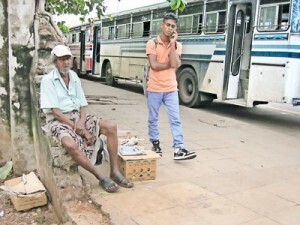 A study on the socio-economic implications of ageing in Sri Lanka by the Census and Statistics Department has found that Sri Lanka’s fertility rate is sliding while longevity is rising. In 2000, one in 10 people were more than 60 years old; in 2040 one in every four persons will be over the age of 60, the study said. The question is, are we geared to meet the demands of the increasing numbers of elderly people who will need quality care during old age? The Elders Secretariat of the Department of Social Services (DSS) said there was increasing demand for homes for the elderly and currently around 15,000 elderly people were on the department’s waiting list for accommodation. Widows form the bulk of the waiting list as females have a longer lifespan, the secretariat’s Director, Suvinda Singapuli said. Census figures from 2000 show women lived up to 75.8 years while men lived only 71.2 years. With no home-based care or family structure the old are increasingly seeking nursing homes for care. With a pitifully low number of six homes for the aged being run by the state there is an increasing need to build more accommodation. The six homes are in Gampaha and Kataragama, Mirigama, Saliyapura, Kaithaddy and Kurunegala, accommodating around 1,000 inmates. Already 300 private homes have sprung up to meet the growing demand. With little or no supervision and no requirement for registration with the DSS anybody who wants to make a mint is jumping into the business. While some businesses work conscientiously, providing good facilities and quality care, others need monitoring. Following public complaints, the DSS is planning to bring in regulations to set standards for elderly homes. “We will be imposing standards to maintain quality of care in keeping with the fee charged, and an annual levy will be imposed,”, Mr. Singapuli said. New businesses will also have to produce reports from the Medical Officer of Health (MOH) and the Divisional Secretariat. A review is to be carried out on quality of workers employed, donations received and audit reports. “We have stopped all new registrations and will be calling on existing homes to upgrade and register,” Mr. Singapuli said. The secretariat is conducting courses and training youth to take up jobs in aged care. The Ministry of Health (MoH) has planned a healthcare delivery plan strengthening existing facilities in hospitals, including in emergency and geriatric care, the department’s Director for Youth, Disabled and the Elderly, Dr, Ananda Jayalal said. Measures include disabled-friendly toilets, low-level beds, ramps and railings. A National Institute for Elderly Health Care is to be opened soon, where patients needing acute care will be cared for and transferred to other hospitals for long-term care. More doctors are to be trained in physiotherapy and occupational therapy together with trained carers for the elderly. The transport system will also be overhauled to suit the needs of elders with emphasis on the model of buses and drivers being to consider the needs of old people.